Just as the leaves change during the fall season, so do our activities and household chores. 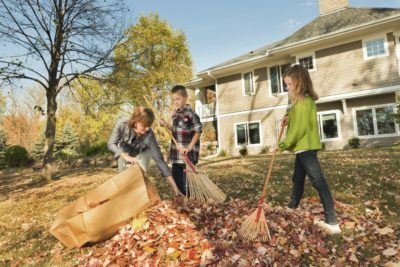 Whether you are hauling big pumpkins in and out of your car for Halloween carving or raking the leaves in your yard – it is important to be mindful of your back during the excitement and hard work you commit to in the fall. We may not think about our backs before starting any given activity, putting us at greater risk for pain and discomfort. But, don’t worry, we have your back! We’ve listed some fall activities to be aware of that may increase your risk of back pain and some helpful tips to keep you healthy and active this season. This one is probably a given. Many of you have probably experienced pain or discomfort after a long day of raking leaves and bending over to pack them into bags. It can be a very strenuous activity and can put a lot of stress on your back. However, it’s a task that cannot be ignored. When you do start raking those leaves, be mindful of your back. There’s nothing like a long hike outdoors on a crisp fall day. Enjoying all the colours the fall season has to offer, it is very enticing to spend nice days outdoors enjoying the sights. If you plan on taking an extended hike, you are likely going to be bringing along a backpack full of items needed for the day such as water, snacks and first aid supplies among other items. 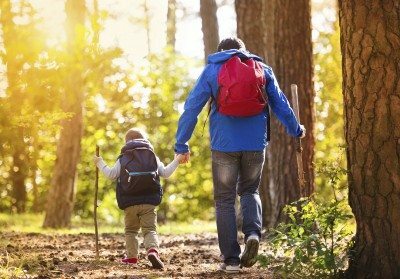 Remember in September we featured some tips on how to pack it light, pack it right and how to wear a backpack correctly for children and adults alike. Don’t forget to warm-up and stretch before you set off on your hike as well. It’s time to bring out the warm fuzzy sweaters and heavy blankets to keep warm! You may even be doing some extra work around the house to get ready for winter such as clearing out the gutters, and basic housework. Spending hours doing seasonal work around the house can be a great way to get moving. However, since many of us only do these on occasion, your body may not be ready to perform all the tasks for extended periods of time. We have some spring cleaning tips on our blog that can give you some fresh ideas on how to keep your back safe when you do some serious cleaning. A good way to prevent back pain from occurring during everyday activities is to make sure you have stretched and warmed up. The Straighten Up Canada app is a great way to help prevent back pain from occurring and can be downloaded for free! If you do experience pain after some of the activities we mentioned above, be sure to visit your chiropractor for a consultation.